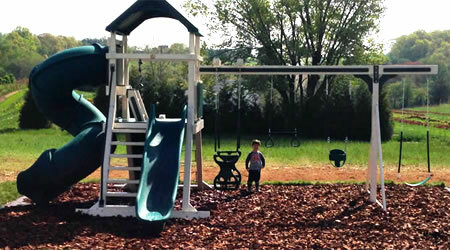 High-End Playsets, Prefab To Custom Built For Home Owners in Nebraska and Iowa - Play, Inc. PLAY inc is a certified installer throughout Nebraska and the midwest for playsets from the best manufacturers in the world. Our manufacturers create playset equipment made of vinyl, recycled plastic, and metal, to provide you with a safe, low-maintenance, play site for your children. Swing Kingdom specializes in low-maintenance, durable, environmentally safe playsets that can be custom built to almost any budget. 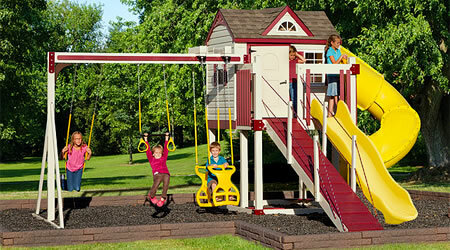 PLAY inc is a certified installer for Swing Kingdom in Nebraska, Iowa, and other midwest states. Kompan boasts a global reputation for creating innovative playsets focused on fun, community building, good health, and learning. PLAY inc is the exclusive distributor of Kompan in Nebraska and western Iowa. 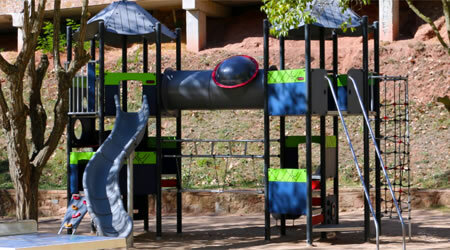 PLAY inc offers a variety of playground surfaces to help make your child's play, safe play. Select the surface that’s right for your outdoor play area. 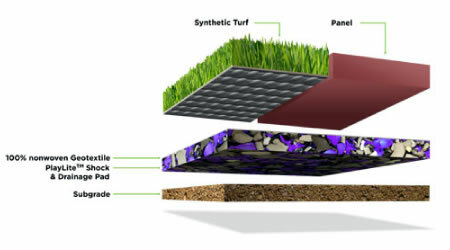 The SYNLawn Playground System is IPEMA certified and ADA compliant. Playlite foam is 100% recycled foam padding and helps provide safety for falls from up to ten feet high. 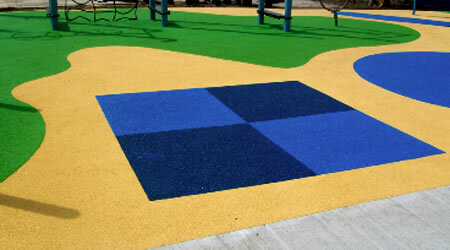 Poured rubber playground surfaces are made of 100% recycled materials and are available in a variety of colors and designs. 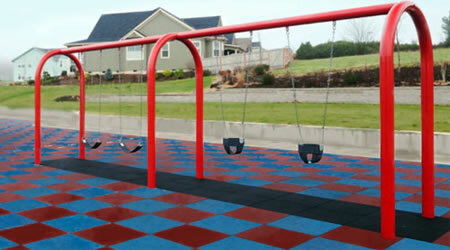 Fully customizable, these playground surfaces are poured onsite. Recycled rubber tiles are available in a variety of thicknesses to make installation and maintenance easy and help keep your children safe. From traditional wood mulch, to rubber mulch, or pea gravel, we can build your playset base specific to your needs. We will properly excavate, level, and install your desired base materials to complete your playset construction and help improve safe play. 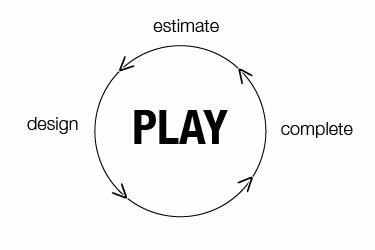 I understand that Play Inc will be sending me an introductory email full of Play Inc news and special offers. I also understand that I can unsubscribe from this email newsletter at any time. From conception to completion you’ll have a dedicated PLAY Professional as a single point of contact to discuss your vision, create your estimate, and work with our designers and builders to complete your dream space. 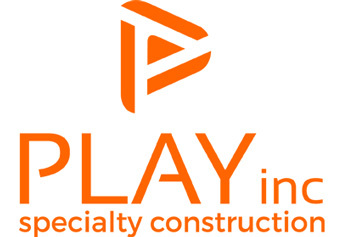 Based in Omaha, Nebraska, Play, Inc. is a partnership of Practice Sports, Inc. and a group of experienced tradesmen - offering premium products & services since 2001. Play, Inc. primarily works throughout the midwest, with services available in other states via our sister company Practice Sports, and other qualified contractors.